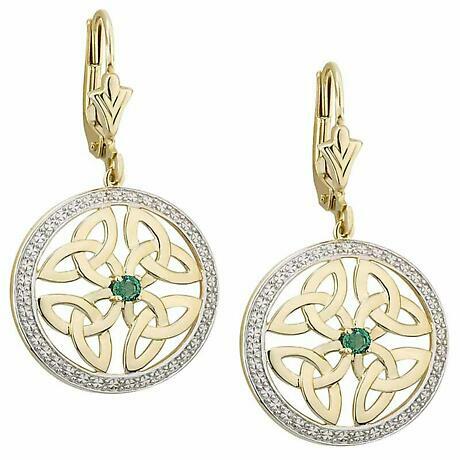 A medley of Irish & Celtic delights come together in this extraordinary pair of gold earrings. 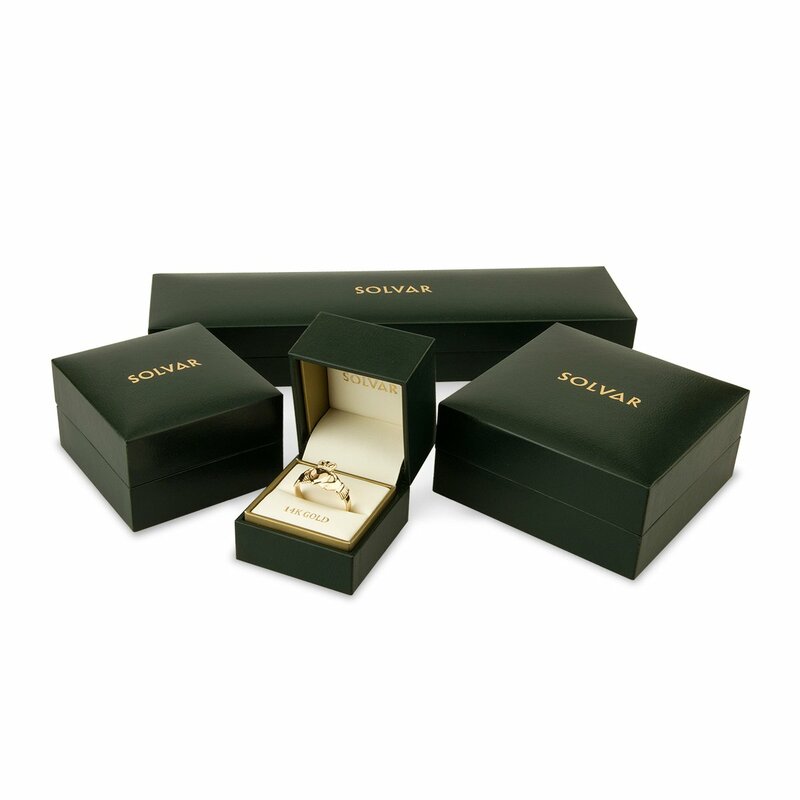 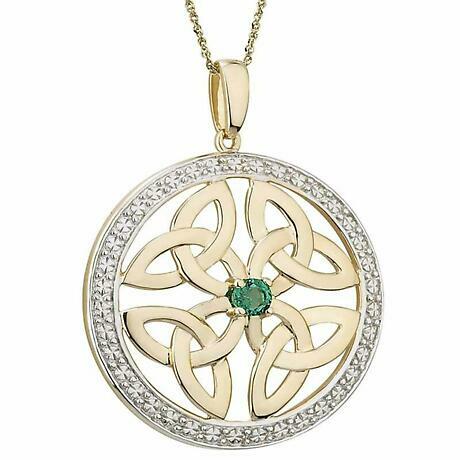 A circle of 14k White Gold, with dazzling diamonds, surrounds four 14k Yellow Gold Celtic Trinity Knots, united by a gorgeous green emerald at its center. 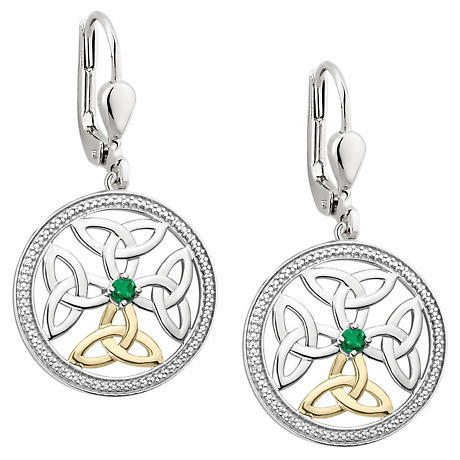 The Trinity Knot has no beginning or end, making it a perfect symbol of eternal Love, Faith or Friendship.